A fireplace insert is like a wood stove that has been modified to fit within the firebox of a regular fireplace. These “inserts” are used to convert drafty fireplaces, which are energy inefficient and pollute the environment, into an effective heating system. A fireplace insert is a firebox surrounded by a steel shell and there are several options for converting: a gas fireplace kit, a vent-free gas fireplace and a gas fireplace insert. These options don’t involve structural changes, but there are differences in aesthetics and energy efficiency. Installation costs usually include hooking up to a gas line within 10 feet. 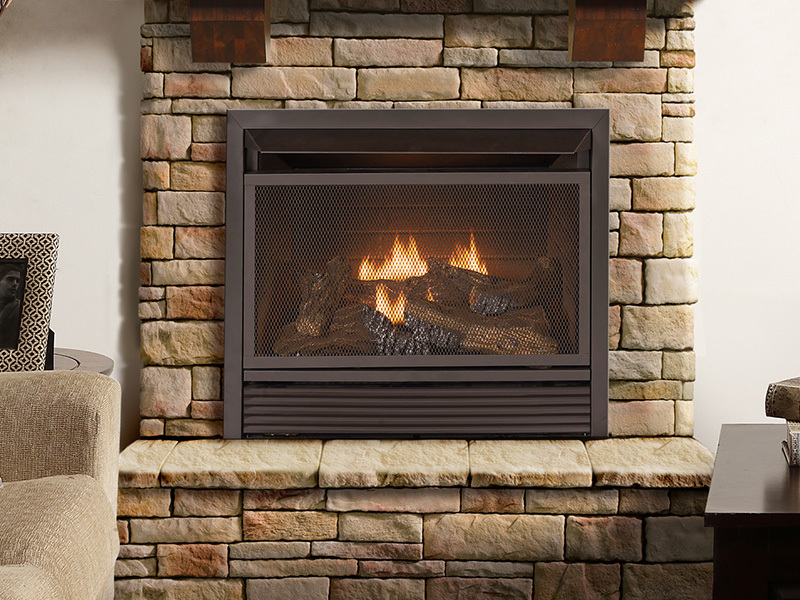 An insert changes the function of a fireplace so you can enjoy the fire without worries. The glass doors are always shut because the fire chamber is sealed which gives you energy efficiency and it allows you to leave the fire running as long as you want. A gas fireplace insert is used to convert a regular wood burning masonry fireplace into an effective gas heating system. The standard for an older home is a traditional wood burning fireplace which is inefficient and pollutes the environment. A wood burning fireplace is just a big opening in the wall with a flue above it, which sends heat up the chimney instead of out into the room but an insert fills the gap that diverts the heat. A fireplace insert is a firebox surrounded by a steel shell that fits into an existing masonry fireplace, just like a stove. This means that it will take the place of your masonry fireplace and connect to the chimney and flue leading outside. It is a low-cost option to install a gas fireplace rather than to replace your existing masonry fireplace to get better heating efficiency. A good insert installation will last for years and is considered permanent because the liner and all the hardware supporting it is corrosion-resistant stainless steel. Gas inserts are versatile and can completely change the design of a room from traditional to modern to minimalist. For conversions from wood-burning to gas, fireplace inserts can be installed in almost any existing masonry fireplace and are available in a variety of styles and designs to match the home’s decor. Natural gas fireplace inserts increase heating efficiency, maintain better air quality than wood-burning fireplaces and far outsell their cordwood counterparts. Energy-conscious consumers are fueling the trend of gas fireplace inserts that provide zone heating for the spaces we use the most. Utility bills are less expensive when the thermostat is lower on a central furnace and a gas fireplace is used as a supplemental heat source. Builders and contractors are avoiding masonry wood-burning fireplaces, which can lose up to 85 percent of the fire’s heat through the chimney and instead are utilizing highly efficient vented and ventless fireplace inserts that can heat thousands of square feet of space at a very low cost. 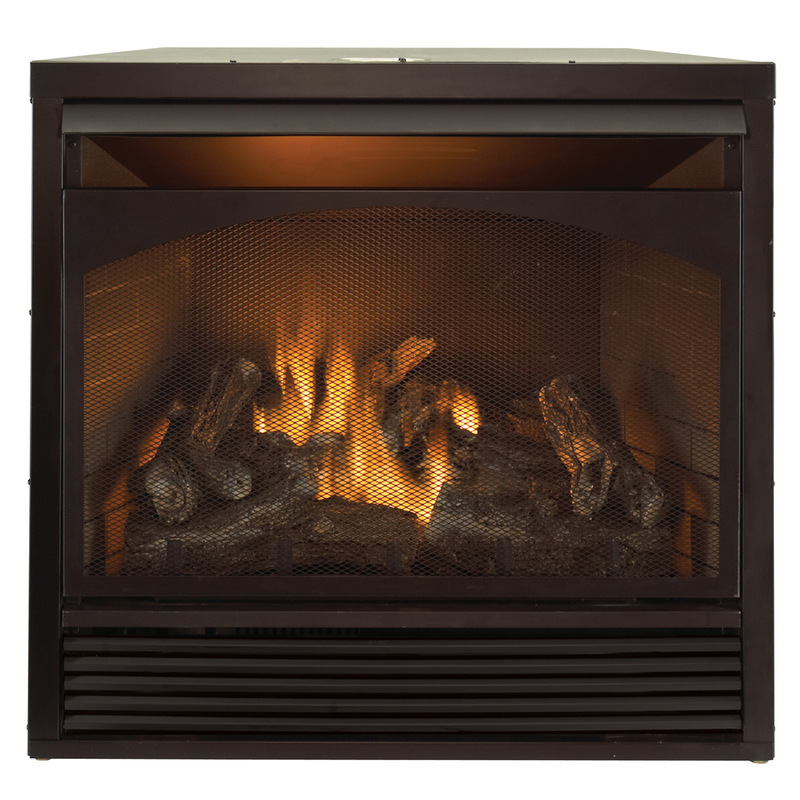 This ProCom Heating Full Size 32 Inch Vent Free Zero Clearance Fireplace Insert allows you to build a custom fireplace for your home. The insert is zero clearance approved so it can be framed without adding air gaps or spacing on the sides and top of the unit. You can pair it with a face mantel or recess it directly into a wall of your home.